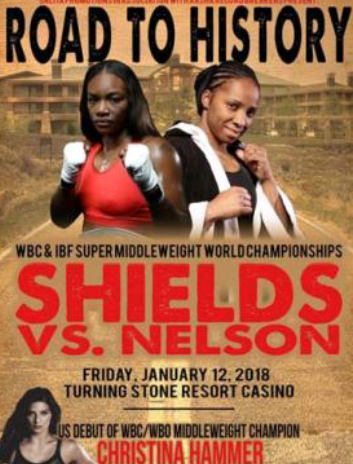 On January 12th Claressa Shields (4-0,2 KO’s) will defend her IBF & WBC Super Middleweight belts against Tori Nelson 17-0-3, 2 KO’s) on Showtime Boxing series The Next Generation. 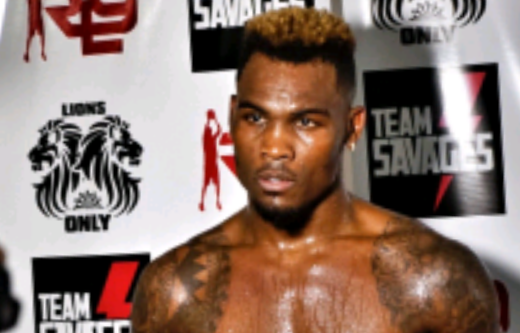 The fight will take place at the Turning Stone Resort & Casino in Verona, New York. It matches two fighters that took two different paths to get to their respective positions in the sport. Shields, a two time Olympic gold medalist, is highly touted and considered by most to be a very special talent on the fast track to the top. Nelson made her pro debut at age 33 and is a single mother that works as a lunch lady and school bus driver. Nelson has twenty professional fights under her belt and presents a tough test that should help Shields take a step forward in her progression. Shields is coming off her most impressive performance as a professional in which she displayed her entire arsenal in her victory over Nikki Adler. Against Adler it looked like she was more adjusted to the pro style than in her previous three fights. Her pace, distance control and movement was better as she outclassed and ran over her opponent. At age 41, Nelson has her mind set on derailing the phenom while hoping to win her first major title and shock the world. Nelson believes the third time’s a charm as she’s fought Teresa Perozzi for the WBA & WBC title twice, getting a draw both times. 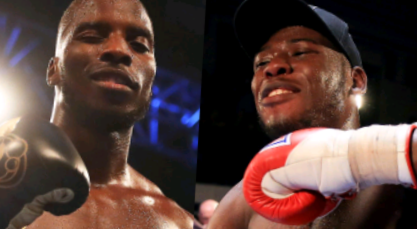 Shields has the skills and pedigree advantage but must not look past Nelson. Whereas Nelson on the other hand, has never faced a fighter like Shields who’s looking to get her out the way to set up a big fight with Christina Hammer. Hammer, who signed a promotional agreement with Salita Promotions last week, will make her American debut on the undercard of this fight. Salita is also the promoter for Shields.Showtime should be commended for putting women’s boxing on the forefront, and giving the ladies the spotlight.